Keto diet is heaven as you can eat cookies, cakes, brownies and many other desserts made with keto friendly ingredients. Here is a recipe for keto almond flour cookies. These cookies are so buttery and yummy even my kids like them. Preheat the oven to 350 degrees F (177 degrees C). Line a cookie sheet with parchment paper. Use a hand mixer or stand mixer to beat together the butter and erythritol, until it’s fluffy and light in color. Beat in the vanilla extract. Beat in the almond flour, 1/2 cup (64 g) at a time. (The dough will be dense and a little crumbly, but should stick when pressed together.) 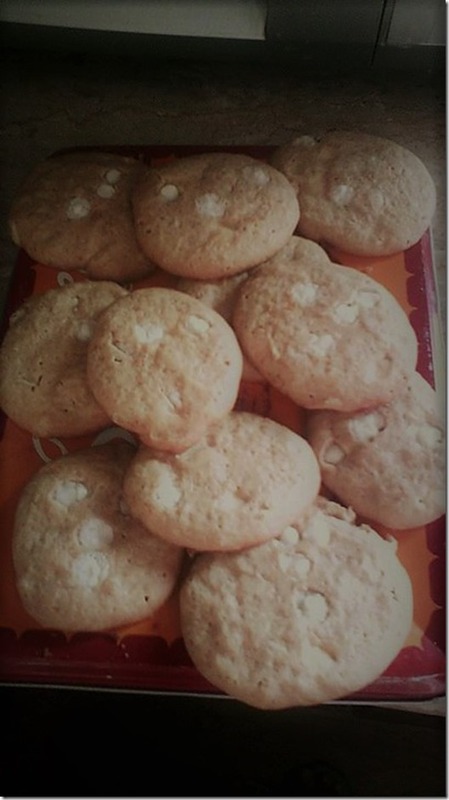 Fold in white chocolate chips in a dough. Bake for about 12 minutes, until the edges are golden. Allow cooling completely in the pan before handling (cookies will harden as they cool).